The top keto products that make living a healthy, whole foods-based, gluten-free, grain-free, dairy-free, paleo, keto, low carb life, quick and easy! I’m fresh off the plane from the Natural Products Expo West; the world’s largest natural, organic and healthy products event, where 71,000 people (and me!) lined up to connect with over 3,000 exhibiting companies. To say that the 3-day event was overwhelming would be an understatement. But I braved the floor, for us! Because I wanted to find the best of the best – the products that would make our lives a lot easier. Today, I’m introducing you to 10 companies whose products; and vision, blew me away. 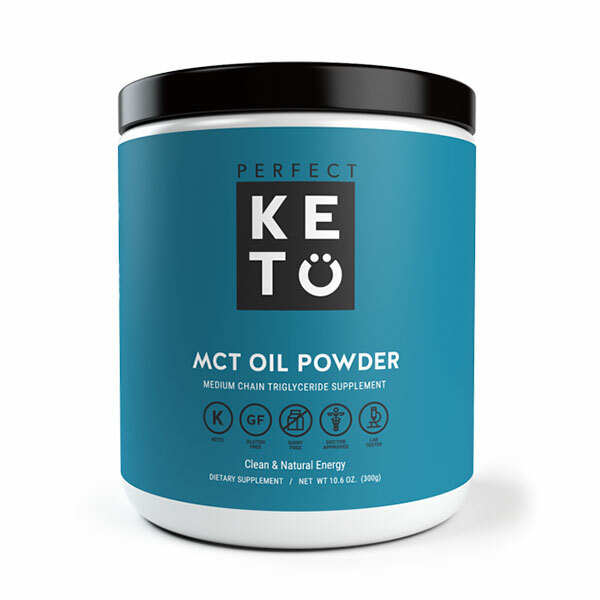 Looking to simplify your pursuit of a healthful, keto life with products you can feel good about? Watch my video! I’d love to feature some of these brands on the blog this year. 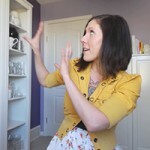 So, I want to hear from you: Of the products I’ve shared, which excites you the most? Hey guys. Fresh off the plane from California. You can tell because of my awesome tan that I got going on. No, that’s not actually a thing. I wore sun block the entire time. I was in California to attend Expo West, a huge ginormous convention center filled with healthy living and natural products. There were ten companies that completely blew me away. Products that I think will make all of our lives a lot easier, so let’s just jump right into it with Lily’s Chocolate. Now, I mentioned this slightly on the blog last week. I was super excited to meet with these guys. Basically, Lily’s is a fabulous company that creates keto-approved Stevia sweetened chocolate. They have an entire vegan line as well. They have a sea salt one, a blood orange one, and just a regular dark chocolate. As well, their dark chocolate chips are all dairy free. The next one, and this is pretty epic, which is why maybe they call it the Epic bar. Now if you can see here, this bar is made with liver. They have a lot of other flavors here too, for example, they have this bacon bar, uncured bacon. This bacon bar already has come in handy so much. What I love about this is it’s a protein bar, but it’s actual real protein, and completely keto. For those people that are trying to eat more liver and don’t really know how to do it, this keto bar is absolutely unreal. If you hate liver, or you can’t get liver in your life, and it’s just super inconvenient like I’ve been finding, this keto bar by epic is epically awesome. Another product that maybe you’ve heard about before is seaweed snacks. There’s a lot of seaweed snacks out there, and what I love about sea snacks, you can see right here, they are made with olive oil. There’s no corn oil, or sunflower oil, or soy oil in these little sheets. And they’re perfectly keto. Sea snacks also came out with crunchy, chip-like snacks that are flavored all sorts of different ways. I would show you a bag, but I ate the jalapeno ones for breakfast yesterday on my plane ride. The next really exciting product is turmeric tea by Numi organic tea. You can see right here there’s a bunch of different flavors. It’s not an overpowering turmeric boring taste. It’s really punchy, and amazing, and just delicious. A really good way to get some more turmeric in your life in a really fun and interesting way. I bet you it would make really good bullet proof coffee. Instead of the coffee, you could brew some up. To make it extra keto, add some MCT oil, some coconut milk, maybe a little bit of cinnamon. Oh dear, geez that would be good. Another brand that I was really excited about was Chameleon cold brew. I would show you a bottle, but I couldn’t get it in my suitcase. Their mocha flavor was by far my favorite. It was really smooth, no bitter taste. You could drink it with a little bit of ice cubes. Add your own sweetener. Michelle from Nom Nom Paleo suggested adding a little bit of full-fat coconut milk and whipping it in, and says it’s absolutely to die for. Another product that got me really excited, for those of you who have nut allergies specifically, peanut allergies. There’s a company called, Barney Butter, and they make almond butters. These are in the little squeeze packs. Good for just sipping up. Their almond butter is free from peanuts. It’s made in a peanut free facility. I don’t know if I’ve ever had almond butter that I know for a fact is peanut free. Being anaphylactic to peanuts, that’s a huge risk that I’m taking every time that I eat nut butter. Anyone out there that’s just too afraid to risk their lives every time they have a spoonful of almond butter, Barney butter is great. I have raw and chia and smooth in my hand. The really cool thing about this is there’s no added sugar, so it’s keto. And they take off the skin of their almonds, making it a lot easier to digest than the nut butters, and almond butters specifically that still have the skins on their almonds. Another cool, interesting product that I saw, is Tava spreadable ghee. They have four different flavors. The vanilla one was by far my favorite. I spread it on dark chocolate. As Kelly from the spunky coconut recommended, it was delicious, and I ate it all and I don’t have a jar to show you. You know how much I love collagen. Vital Proteins makes an amazing keto-friendly collagen. You can see right there. Collagen protein, and collagen peptides. Their product is one of the most smooth, pure tasting collagen products I’ve ever had the opportunity to try. It fully dissolves in water, no greedy bits whatsoever. You can just tell that the quality of this pasture raised keto collagen is really on a whole other level. Getting more into body care for these last two products, there’s a company called Badger, and they make a bunch of different moisturizing things, as well as essential oils and things like that. You’ll see that I showed you the man care, hair palm aid. But I’ve been told that this is the best for the rough little bits. What I love about Badger is that all the ingredients on the back here … You could eat this, if you wanted to, you could put this in your mouth and you wouldn’t die. If I feel good about eating the stuff I’m putting on my body, that’s a really good indication that it’s safe. It comes in these really cute containers, like they’re metal containers, really high quality. Last but not least, the final company that excited me the most was primal powder. This is their PoPo powder. It’s more of a body powder. If you have a little funk going on, you can spray that anywhere. As well as a bunch of their different pit pastes. I have lavender in my hand, and time and lemon grass, you can see right there, these are just little samples. The ingredients in the lavender is shea butter, Arrowroot powder, coconut oil, non-aluminum baking soda, and lavender essential oil. On your armpits. Really simple. I wore this on the plane ride, and it was a really long day. I was up at 3 o clock in the morning. I didn’t get home until late in the afternoon, and I smelled fantastic when I walked through the door. Really exciting that these guys have figured out a way to make us smell good without using aluminum or alcohol to do it. There you have it. 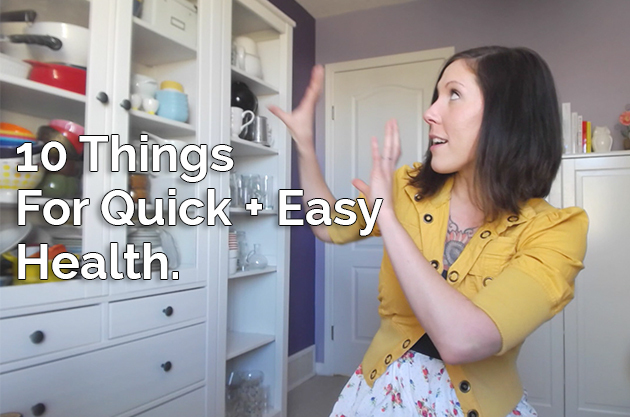 All of these things I hope will make living a healthier, keto life easier for you. I’ve included the links to these keto products in the notes below this video. If you want to give these keto items a try, you can. Let me know what you think of them. If you liked all of the information that I shared in today’s keto video, you can subscribe to my Youtube channel. The link will be somewhere around this corner. You will receive weekly videos on how to live a healthy life, how to feed yourself with nourishing fats, and just be totally awesome. Until next week, I hope you have a beautiful week, and I will see you soon. Okay, bye.